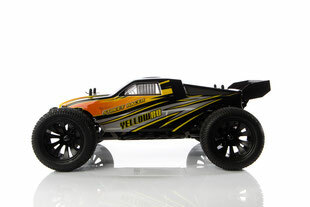 2 new YellowRC 1/12 Racers are now available! 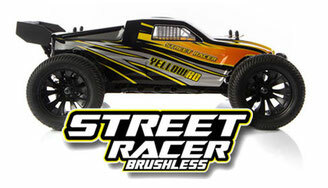 Equipped with a powerful brushless 2 in 1 control unit the Dune/Street Racer Brushless are great cars for people who seek more durability and speed!! 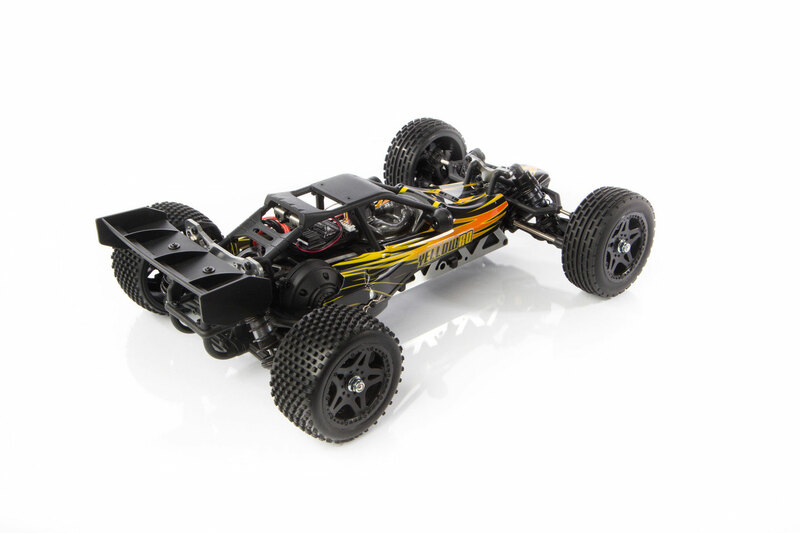 Both cars come standard fully loaded with all the option parts that are available, this means: Ball Bearings, Steel Driveshaft’s, Aluminium Parts and an all new slipper clutch. 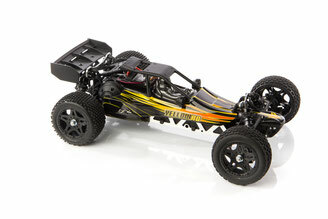 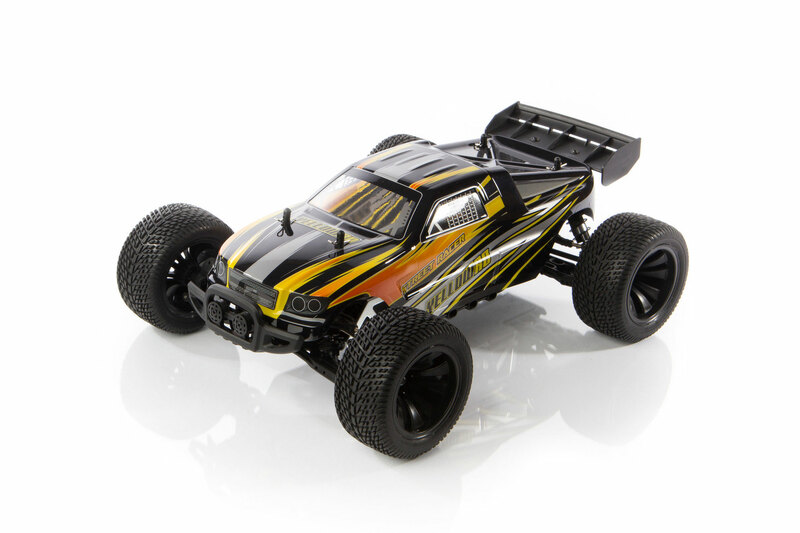 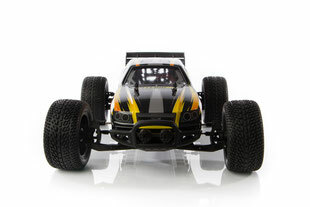 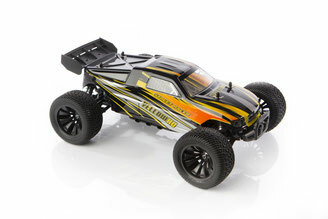 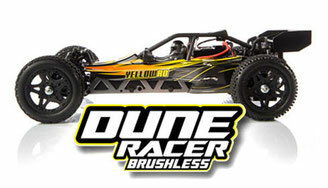 Borrowed from his big brother the Dune Racer XL, the brushless 1/12 racers now also come with a Gyro included! 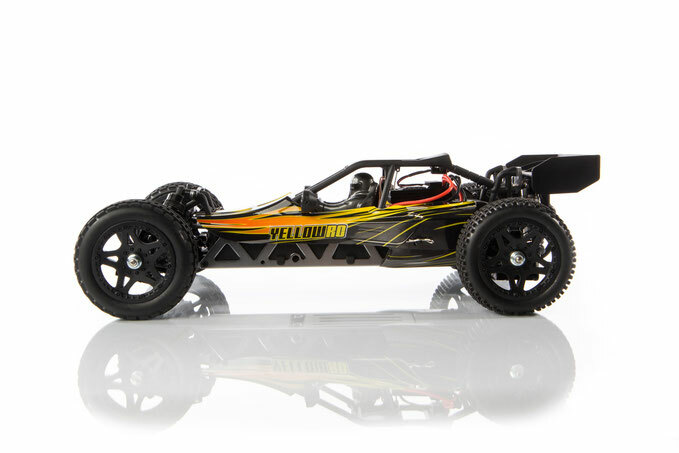 This makes them easy but fun to drive!! 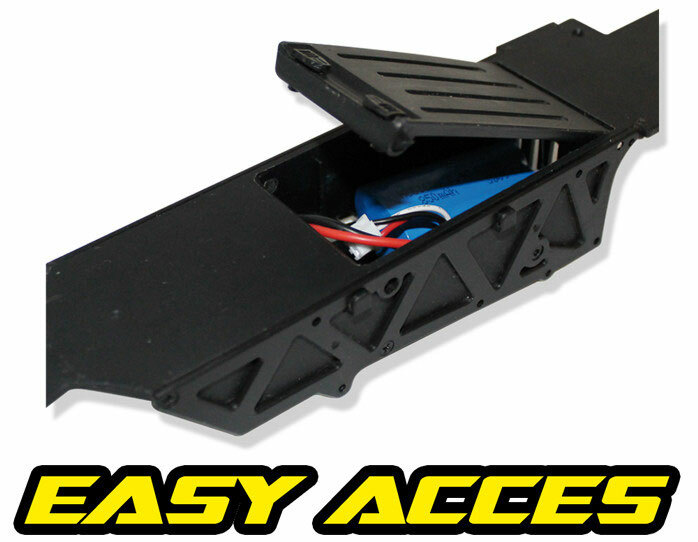 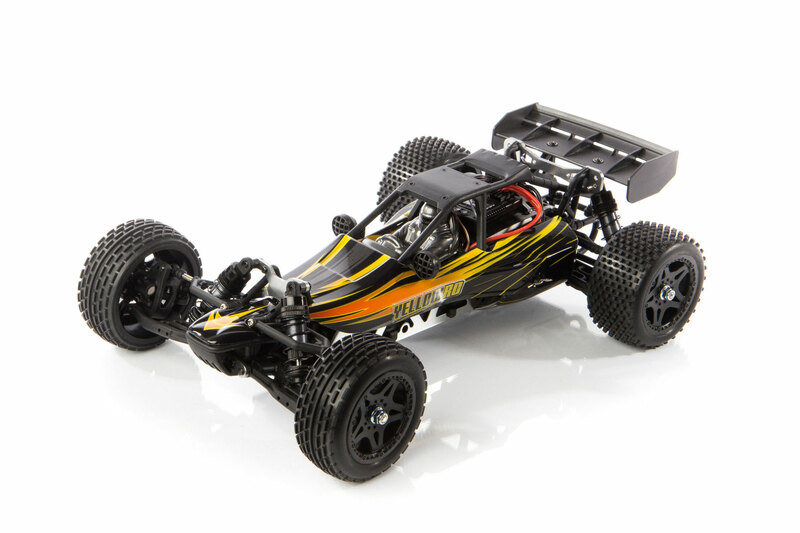 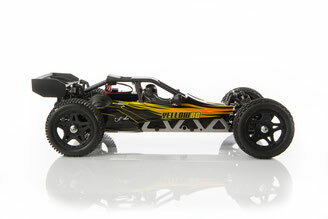 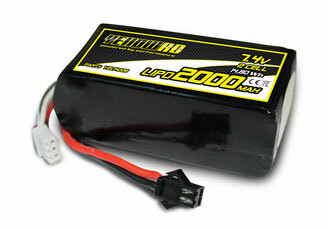 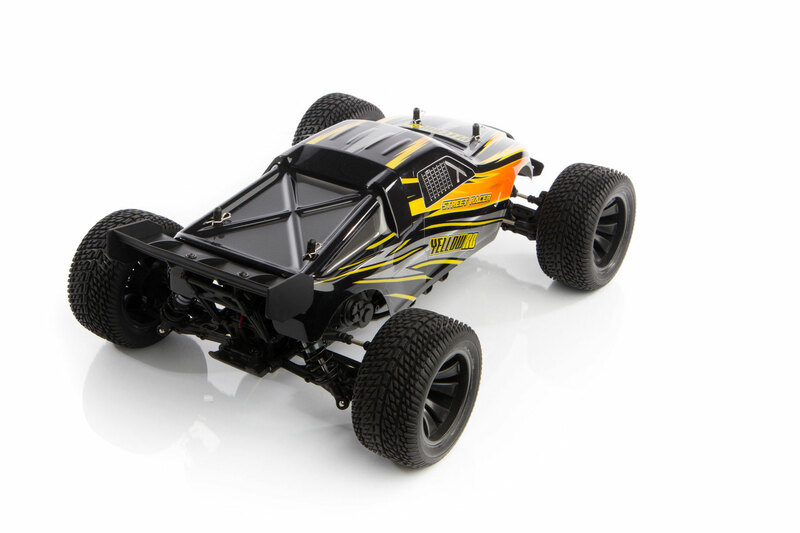 The YellowRC 1/12 Racer Brushless cars are powered by an all new 2 in 1 control unit. 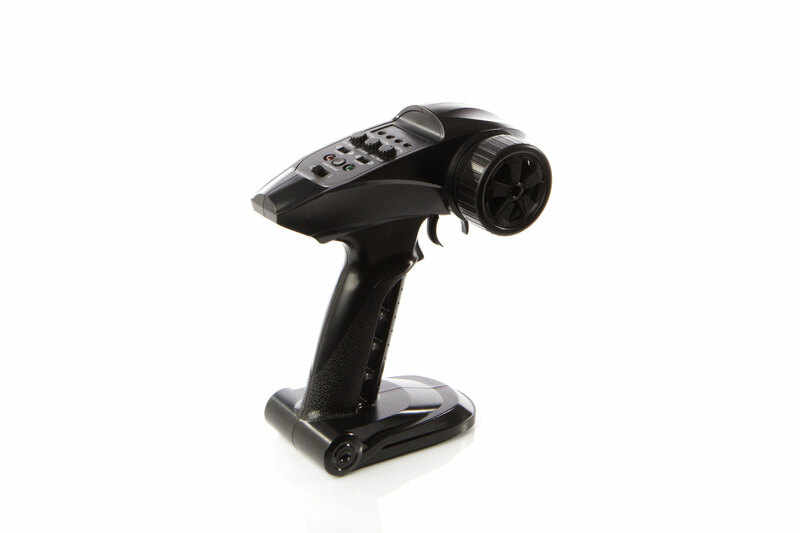 This high tech control unit provides high power with a super smooth power band. 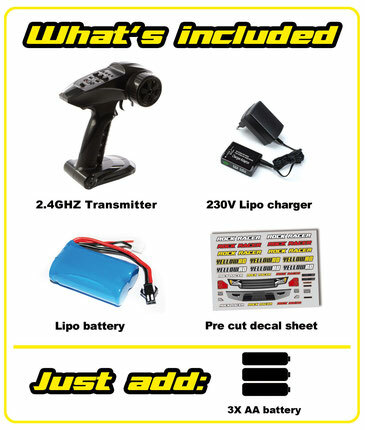 The 2 in 1 control unit has a multi protection system (MPS) LiPo Cut-Off, Thermal Protection and Splash proof design. 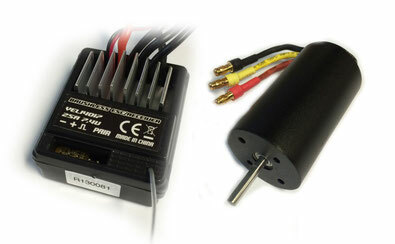 The new 2.4 Ghz Transmitter offers an increased range over the old model. A Gyro comes standard with the cars, this to give better control at high speeds or at slippery surfaces. 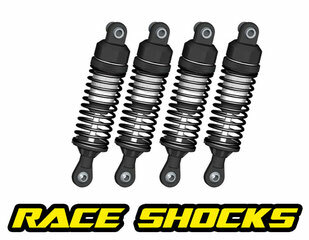 These high performance oil filled aluminum shock absorbers are used on high level competition cars but these shocks are now standard mounted on these 1/12 Racers to give you superior handling. These racing shocks keep your car in control, even in the toughest racing conditions. 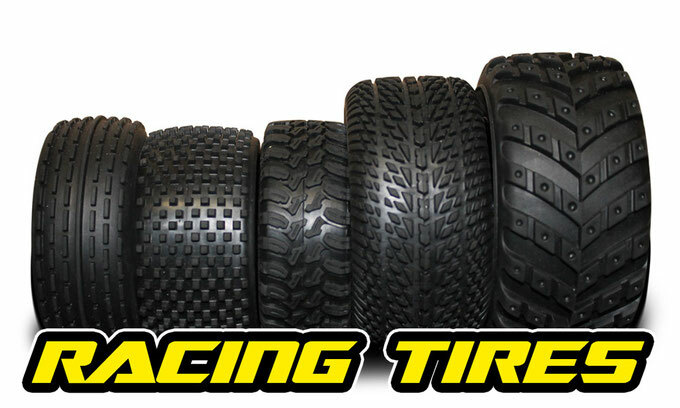 They are oil filled so you can adjust them for every track you race on. You can leave the body on, just push the clips to the inside to unlock the battery compartment, change the new 1500mah 7.4V LiPo Battery and you are ready to race!